If you love all things potato and cheese, this announcement will make your day. Burger King is bringing back its beloved ‘Cheesy Tots’ for a limited time to its menu. Netizens have been calling for the fast food chain to revive the item via social media, and it seems that their desires have been fulfilled. 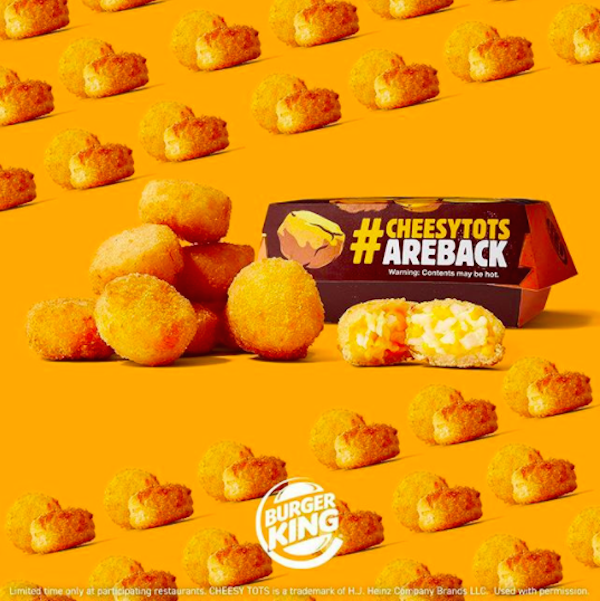 ‘Cheesy Tots’ are now selling at US$1.99 for eight pieces in Burger King outlets across the US.